The end of Iceland’s nine years of capital controls on Tuesday is an occasion to celebrate for Icelandic businesses — and for those economists who, like Nobel Prize winner Paul Krugman, touted Iceland’s post-crisis recovery as an example of how it should be done. Yet even after almost a decade, Iceland may still need a relatively closed financial market for that recovery to stick. Iceland is the favorite country of those who say currency devaluation and capital controls are essential tools for countries battling debt crises. After the island nation’s banks, whose assets had reached 14 times its gross domestic product, went bust in 2008, Iceland’s government separated the banks’ foreign clients — who had invested in Iceland in search of relatively high yields — from domestic depositors; it froze payments to the foreigners and transferred the domestic clients’ assets to nationalized successor banks. That allowed the country — with assistance from the International Monetary Fund — to rebuild its financial and fiscal systems. 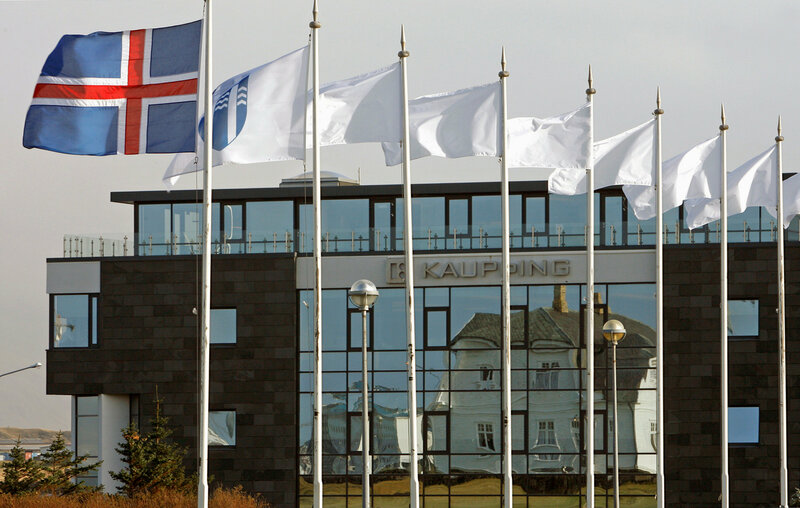 Icelandic banks have head-spinning capital ratios (30.2 percent for Landsbankinn, the heir of Landsbanki, one of the lenders that crashed in 2008) because supervision has tightened substantially and perhaps because Iceland is the only nation that jailed big bankers after the financial crisis. The government closed last year with a bumper fiscal surplus. A weak krona also helped set up a tourism boom (the filming of Game of Thrones at some Icelandic locations didn’t hurt, either), which is probably the biggest single factor that contributed to economic growth and unemployment reduction. In 2015, the latest year for which these data are available, tourists spent 263 billion krona ($2.4 billion) in Iceland — about 21 percent of the country’s GDP for that year. That was a 33.5 percent increase on 2014. Employment in the tourism industry reached 24,600 last year, up 3,900 from 2015 and about 13.7 percent of Iceland’s total employment. Tourism has also spurred a construction boom; no wonder the Icelandic economy grew 7.2 percent last year and unemployment is down to 3 percent from crisis-era highs of nearly 9 percent. Tourists, unlike foreign investors, were immune to the capital controls, so they enjoyed the unexpectedly cheap Nordic exotica, not to be had in notoriously pricey Norway, Sweden or Denmark. And it was they who fixed the Icelandic economy, though of course locals sometimes grumble. This, of course, strengthens Krugman’s narrative, which has contrasted Iceland with Greece and Ireland. The former turned into a tourist economy in large part thanks to the monetary tools available to the government and central bank — and that secured the growth and the foreign currency inflow the country needed. Greece and Ireland, as part of the euro zone, didn’t have the flexibility, so they didn’t do as well: Greece failed to recover from the crisis, and though Ireland did, its growth came at the price of greater hardship for its people, including higher unemployment. It’s not quite so simple, though. Greece has also seen an enormous increase in tourist arrivals; it’s an attractive destination for most Western Europeans because price disparities (yes, they exist in the euro area) run in its favor and because it’s close and air travel is cheap. Still, the increased tourism revenue didn’t deliver the kind of growth to Greece that it did to Iceland. Ireland, which has also seen tourist traffic recover strongly since the crisis, didn’t benefit from it as much, either. Both Greece and Ireland are far bigger, more complex economies than Iceland. Greece has long suffered from widespread tax evasion and government mismanagement; as a result there’s no way it can ever repay its public debt, no matter what policies it tries to implement. Ireland’s export-led recovery has depended on growth in the capital-intensive pharmaceutical sector and in technology-driven services by tech multinationals, which employ few people and play little tax in Ireland. Iceland, compared with Ireland and Greece, is an economist’s dream. It’s tiny and open, so it responds to stimuli spectacularly and almost without delay. It turned overnight from a fishing-dependent economy to a highly financialized one — a transition brilliantly described in Michael Lewis’s book “Boomerang”; it went just as quickly to a tourism-driven economy after the banking crash. The quick turnaround is an advantage but also a potential drawback. The lifting of capital controls is driving the krona back up. It achieved its post-crisis high earlier this month and is close to that level now. It’s one of the world’s five best-performing currencies so far this year. It’s likely that Iceland wasn’t really saved by the convenience of having its own currency or by the resolve it showed in cleaning up banks and jailing bankers. A unique combination of attractiveness to international tourists and a 9-year disconnection from global financial markets were the major drivers behind its recovery. The volcanoes, glaciers and hot springs are still there, but Iceland is dangerously open to the global capital flows again — something it may not be able to afford.